The author is a musician, preacher, and writer who lived the rock & roll “hippy” lifestyle before conversion and has researched this issue for 40 years. We don’t believe that good Christian music stopped being written when Fanny Crosby died or that rhythm is wrong or that drums and guitars are inherently evil. We believe, rather, that Contemporary Christian Music is a powerful bridge to a very dangerous spiritual and doctrinal world. The book begins by documenting the radical change in thinking that has occurred among independent Baptists. Whereas just a few years ago the overwhelming consensus was that CCM is wrong and dangerous, the consensus now has formed around the position that CCM can be used in moderation, that it is OK to “adapt” it to a more traditional sacred sound and presentation technique. The more “conservative” contemporary worship artists such as the Gettys are considered safe and their music is sung widely in churches and included in new hymnals published by independent Baptists. As usual, the driving force behind this change is the example set by prominent leaders, churches, and schools, which we identify in this volume. The heart of the book is the section giving eight reasons for rejecting Contemporary Christian Music (it is built on the lie that music is neutral, it is worldly, it is ecumenical, it is charismatic, it is experienced-oriented, it is permeated with false christs, it is infiltrated with homosexuality, and it weakens the Biblicist stance of a church) and the section answering 39 major arguments that are used in defense of CCM. We deal with the popular argument that since we have selectively used hymns by Protestants we should also be able to selectively use those by contemporary hymn writers. There are also chapters on the history of CCM and the author’s experience of living the rock & roll lifestyle before conversion and how the Lord dealt with him about music in the early months of his Christian life. 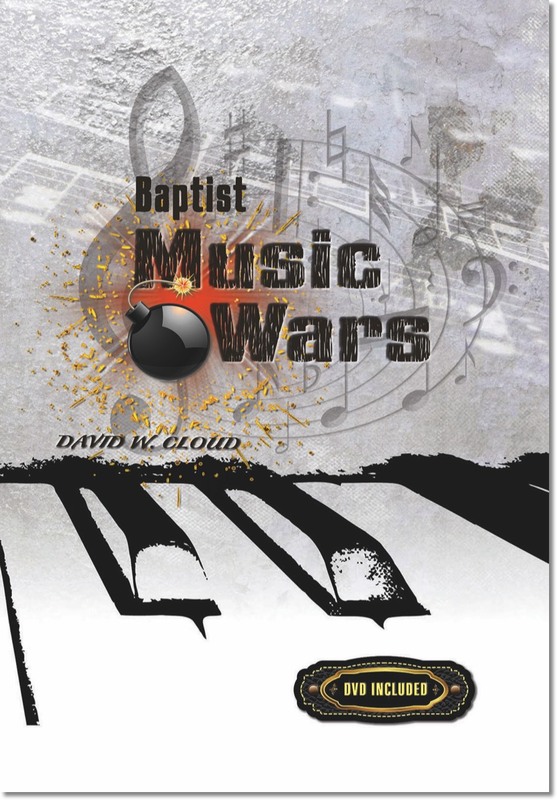 • The Transformational Power of Contemporary Praise Music.